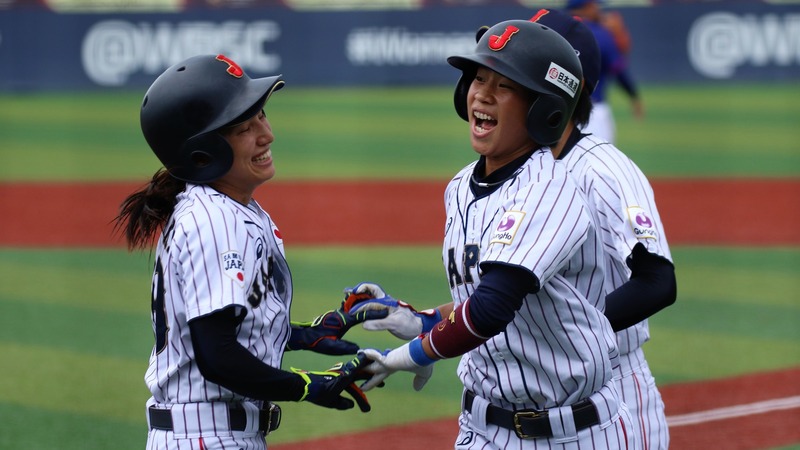 Japan kept the streak (now at 28) in the Women’s World Cup alive with a 2-1 win against Chinese Taipei. Japan is now qualified for Friday’s final. It was a close game, very well pitched and very well played defensively. 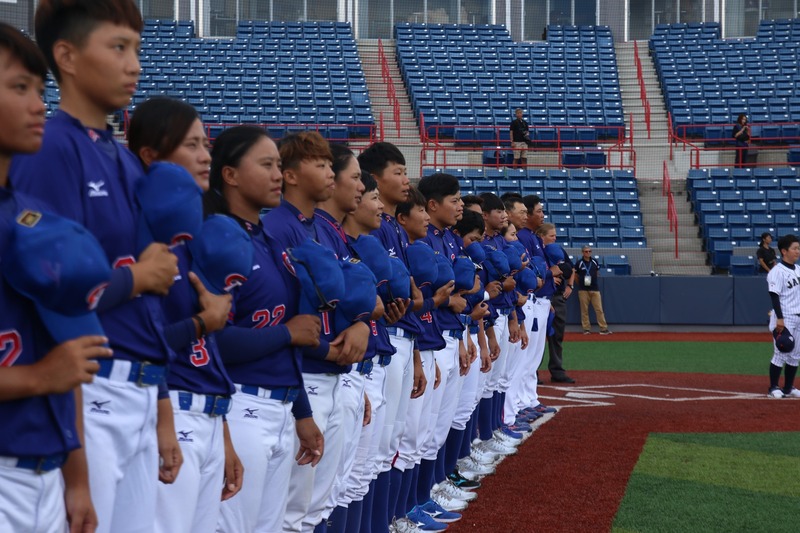 Chinese Taipei will regret not being able to turn the first at bat into a rally. Chinese Taipei took the lead in the top of the second. Shen Chia Wen led off against Miyu Shimizu with a base hit and reached second on a sacrifice bunt by Wen Ya Bo. Hsieh Yu Ying tripled to right field to make it 1-0. She then took off for home on a swing and miss by Tseng Chi and she became a rally-stopping second out the home plate. 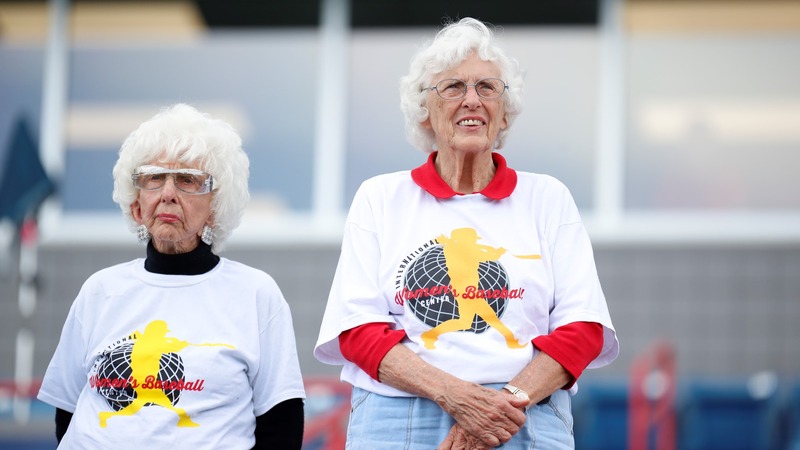 Japan reversed the lead in the bottom of the third. 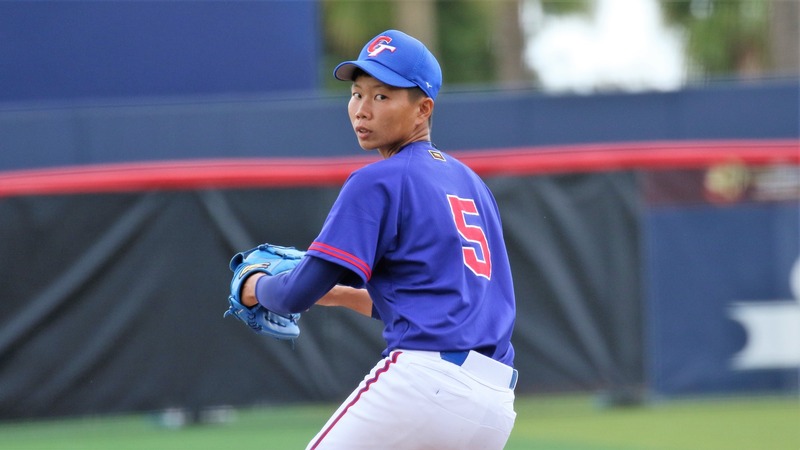 CHinese Taipei starter Hu Ching Wen hit Tomomi Nakada and walked Miwa Tanaka. Iori Miura bunted the runners over to second and third and, with two outs, Chihiro Funakoshi came up with an RBI single up the middle. 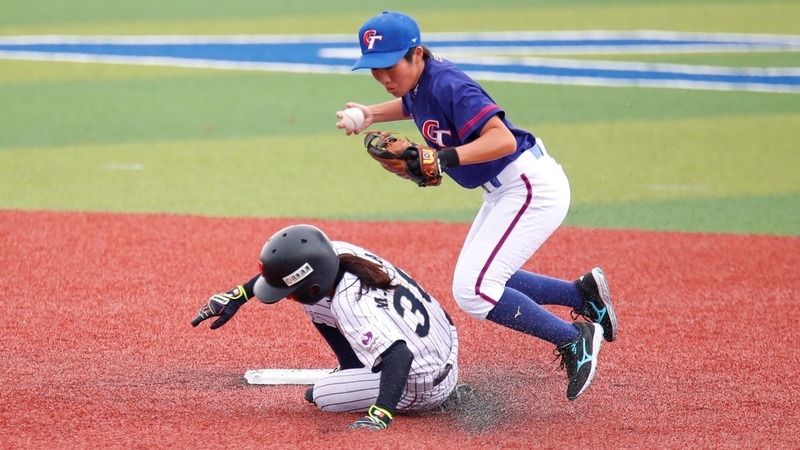 Asaka Tsuru took over for Shimizu and cruised through Chinese Taipei line up until she was stopped, with one out and a runner at first (Lee Shih, base hit) in the top of the seventh, by a lightning alert. As the game resumed, Tsuru got the second out on a fly to right field. 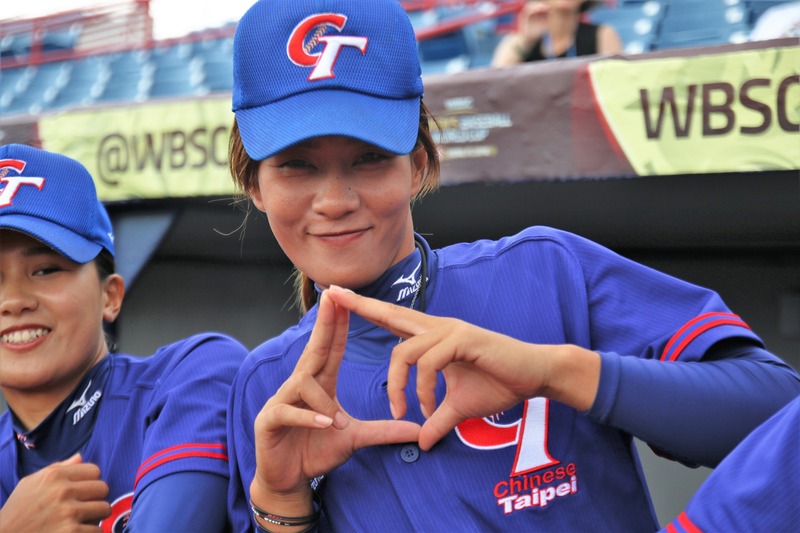 Yang Chia Hui kept Chinese the hopes of Chinese Taipei alive with a single to left field. But the game ended as Japan’s shortstop Deguchy Ayaka could get the force out to second on a chopper by Shen Chia Wen. 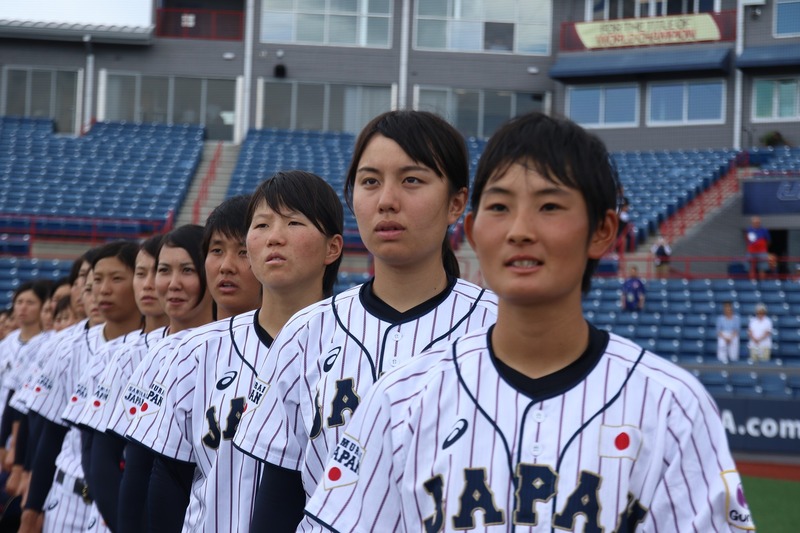 Japan added one more brick to their winning streak in the Women’s World Cup.